Here's a video I just stumbled across on Youtube last night while looking for some other Three 0'Clock clips. Pretty cool, even though not high quality. Wonder where in the world the videogrpaher was standing. Must have been a rooftop or something. There's another even older, rarer clip of the band from 1982 of them doing With A Canteloupe Girlfriend. Must have been late 1982 as they had only changed from The Salvation Army to The Three 0'Clock in the middle of that year. Hello! Nice blog! However, this video is for "In My Own Time", not "With a Canteloupe Girlfriend"! It says as much on the video itself! Rock on, dude! Oops, my bad, the Canteloupe Girlfriend comment was for the video link provided in the description, not the one on the blog! Okay, I'm watching that video now. 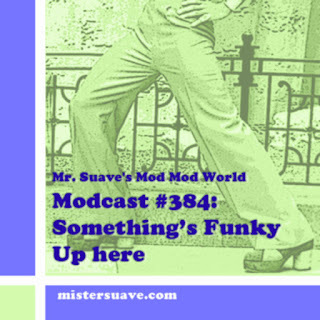 Thaks for the cool stuff, Mr. Suave! Well, since I had been imbibing last night when I was drafting this post I had to come and check to see if I had really screwed things up. Whew!